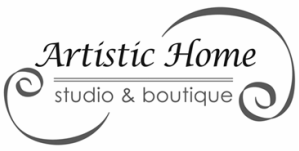 Welcome to Artistic Home Studio & Boutique! We offer furniture painting, decorative painting and canvas painting classes, as well as youth classes and camps for tweens & teens. We also re-love old furniture, and can help you turn your old pieces of furniture from Trash to Treasure. For the DIY-ers, we carry General Finishes paints, stains and topcoats, as well as everything you need to transform your furniture and cabinets yourself. If you are in the San Francisco Bay Area, join us for our monthly Pinterest UNPLUGGED art party where we supply everything you need for a fun, crafty night out. Serving the San Francisco Bay Area, including Alameda, Oakland, San Francisco, East Bay, Marin and the Peninsula.